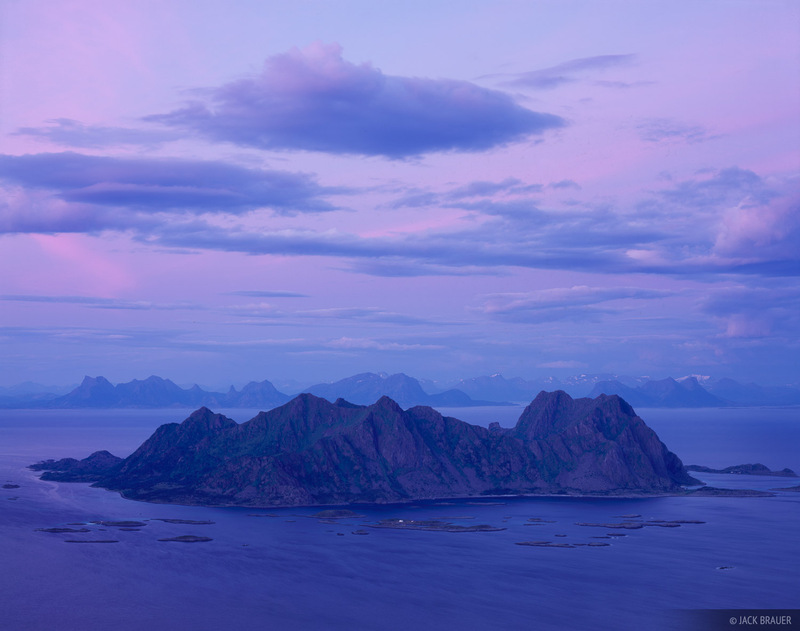 Dusk light with a view towards Litlmolla island, as seen from the summit of Fløya, a rugged peak above the town of Svolvær, Lofoten Islands, Norway. Here's the same view taken earlier before the sun set, and another shot looking the another direction from the summit. Photo © copyright by Jack Brauer.